Most of you associate smart cars with tiny little toy cars which don’t look like they belong on highways at all. 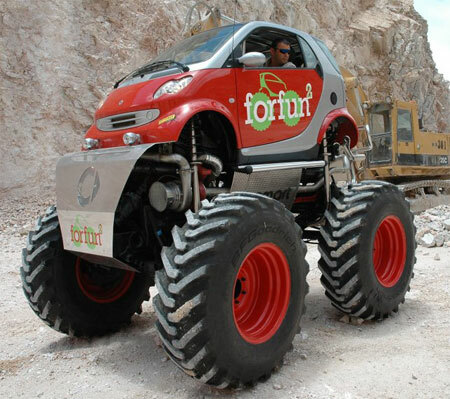 This is something outrageous – introducing the smart forfun2! While there were talks about an SUV smart car called the smart formore, that project never materialised. 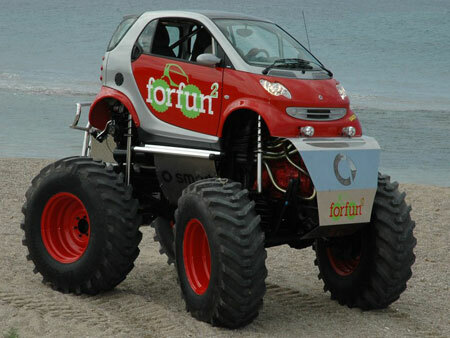 Instead, here you have a concept car called the smart forfun2. 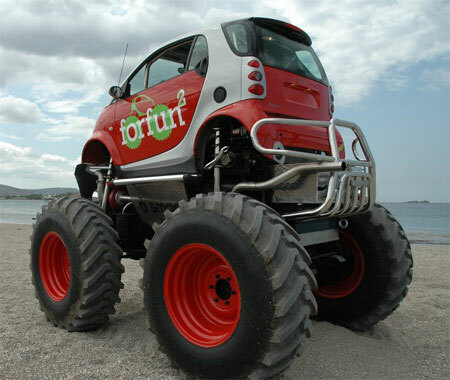 It’s hard to put the smart forfun2 and the word tiny in the same sentence. It was developed by 4X4 Rally Race champion Stefan Attart using a Mercedes Benz Unimog 406, which is actually a really huge truck. The Unimog 406 is given a smart fortwo body and a 5,675cc six-cylinder diesel engine. Ever wondered what those huge monster truck-style wheels actually measure? They’re 26 inches wheels with 140cm diameter tyres. 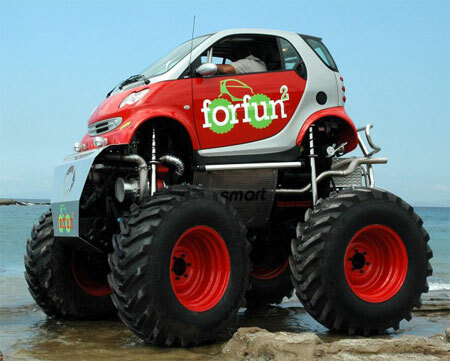 Ground clearance is a high 65cm, while the entire smart forfun2 is 3.7 meters tall.